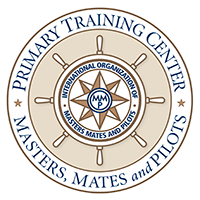 MITAGS is a non-profit trust dedicated to enhancing mariner professionalism through the development of internationally recognized programs in leadership, education, training and safety. Our hotel near MITAGS plays a critical role by providing classroom, housing and dining facilities along with a first-class conference support team! Additionally, the outside conference revenues are used to support our non-profit mission. MITAGS is a leader in the application of full-mission ship simulation for training and operational research purposes. MITAGS and PMI offer over thirty years of full-mission ship, handling simulation experiences to terminal/ship designers and engineers. The in-house team of modelers and ship handling experts can assist in finding solutions to tough operational questions. Founded in 1967 by the International Organization of Masters, Mates and Pilots (IOMMP) and its contracted shipping companies, it moved to the Linthicum Heights Campus in 1972. Currently, it’s located just minutes from one of the United States most efficient public transport hubs that provides a seamless connection to most domestic and international locations. The school (MITAGS) and conference center (MCC) has an impressive campus that includes a 232-room hotel, a 350-seat auditorium, 45 classrooms, a 450-seat dining room and an advanced simulation technology center. It is also home to the International Longshoremen's Association Crane Training Center. This state-of-the-art crane simulator, one of six in the world, provides realistic training for ship gantry, ship pedestal, dock gantry, twin lift and mobile cranes. Another facility, Pacific Maritime Institute (PMI), which is a subsidiary of MITAGS, is located in Seattle, Washington.